Discussion in 'iPhone and iPad Games' started by killercow, Oct 6, 2016. Take control of Invisible's agents in the field and infiltrate the world's most dangerous corporations. Stealth, precision, and teamwork are essential in high-stakes, high-profit missions, where every move may cost an agent their life. Key Features -Character selection: Start with any of the 10 unlockable agents in the game, plus 6 agent variants, and 6 starting programs to crack corporate security. 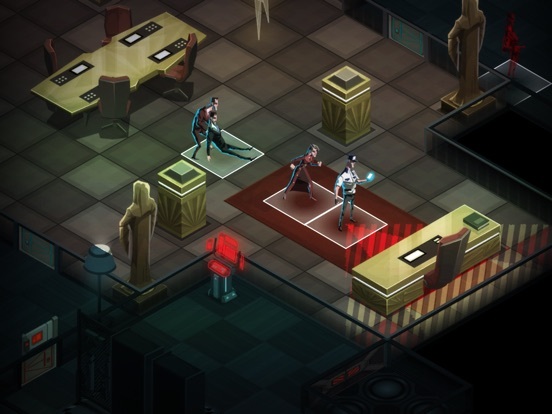 -Deep customization of builds: each play through is different as you create your own strategy using agents, items, augments and programs, and adapt to your surroundings. -Randomly generated world: locations, threats, and loot are randomly generated so each playthrough is vastly different and you’ll never get complacent. -Choose your own game mode: with 5 different game modes and extensive custom generation options, each player can play the way they prefer. Yes! Wasn't aware this was coming out, but makes loads of sense on an iPad. Sadly not iPhone, but I can understand that. Unfortunately for me, also not compatible with my old iPad 3, but I suppose that was bound to happen eventually. Damn, not for iPhone! It was posted incorrectly. It was posted for iPad but it seems that TA's forum is incorrectly using the "iPhone" tag. Same thing happened with some other games previously. This game is so damn amazing. Everyone who loves Turn-Based-Strategy should try this out. Its so great to see this combination of agent stroy mixed with xcom-style fighting and top notch cut scenes. I've been dissapointed by Banner Saga 2 cause it was just too much of the same from part one. So for anyone who also needs fresh wind in a TBS just grab this. Highly recommended and packed with soooo much extras. Unbelievable good. Wow. I have to pick this one up later. I love stealth games. Holy damn, my wallet is crying. Gonna have to load up on some more App Store cards. Wow what a week!!! Wow excited for this! Downloading now! Hopefully it's the full PC/console experience and not something watered down (looking at you CounterSpy!) but I have faith in Klei! 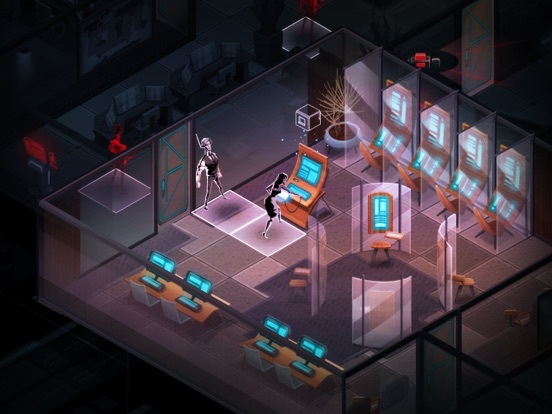 Just for the sake of education, here's the thought process: Invisible Inc was a PC game first, so the user interface was designed for larger screens. If it was built in an engine that is easily ported to iOS, say, Unity, then for relatively little effort you can open up a new revenue stream on tablets. Meanwhile, adapting the interface for iPhone takes much more effort, and the return on investment is not at all guaranteed. 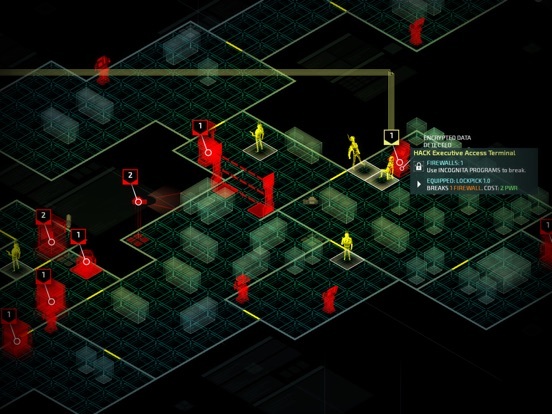 Invisible Inc is a premium, niche, stealth game after all. Klei is a smart developer, just take a look at Don't Starve's journey. It was an established hit on PC and console. It also released iPad first while they took the extra time and to nail the iPhone port and gauge the overall demand. 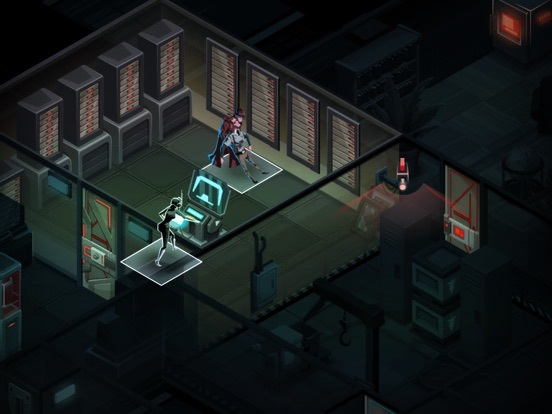 I'm hopeful that Invisible Inc will follow a similar path. I played the hell out of the game on Steam. My eyes are too bad to play a game like this on iPhone, but your mileage may vary. Especially with the plus models. ......with the caveat that I've yet to play on iPad so not sure how controls etc have ported across but would assume all is good. I want to purchase this but I'm curious about the Game Center integration. Would anybody kindly respond? 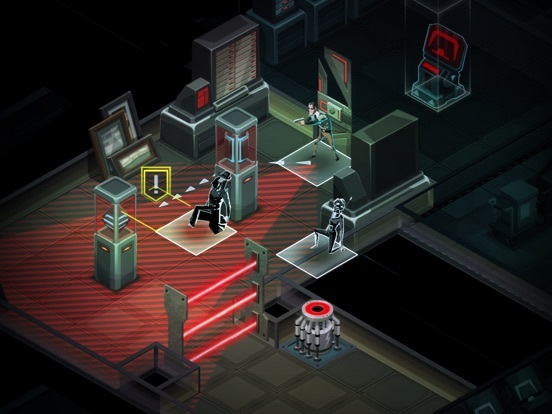 This appears to be the full Invisible Inc experience! Plays very well although loading times before each level are quite long (I didn't time it but it feels like 20-30 seconds). I've just completed the tutorial so far, got the full intro animation afterwards, and all dialog has been fully voice acted. Back to playing! EDIT: loading screens before a level are around 45 second on my iPad Pro 9.7. Still, it's not too distracting as each level is lengthy. Definitely interested if this is the full-fat PC version. Any impressions from someone familiar with both? Performance issues at all etc? Thanks!